Hooded sweatshirts are available. They are available in child 2T through medium 10-12 & adult size small through 3XL. 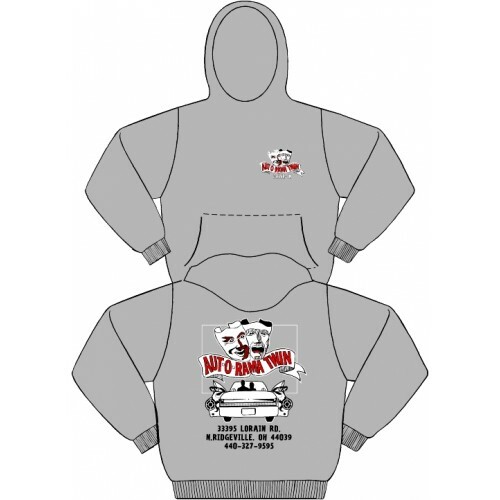 They are a 50/50 blend with draw string in the hood and kangaroo pocket in front. Front logo is the comedy and tragedy with banner (Aut-O-Rama Drive-In). The back is a screen with a couple sitting in a car. The screen has the comedy and tragedy logo in the center.